Honeysuckle from Bach Original Flower Essences is a flower essence that may ease natural occurring nervous tension. Dr. Edward Bach stated that "Honeysuckle helps you put memories of the past into proper perspective if you are feeling homesick or overly nostalgic." Human indication: For over-attachment to past memories good or bad, can not let go of the past, homesickness. 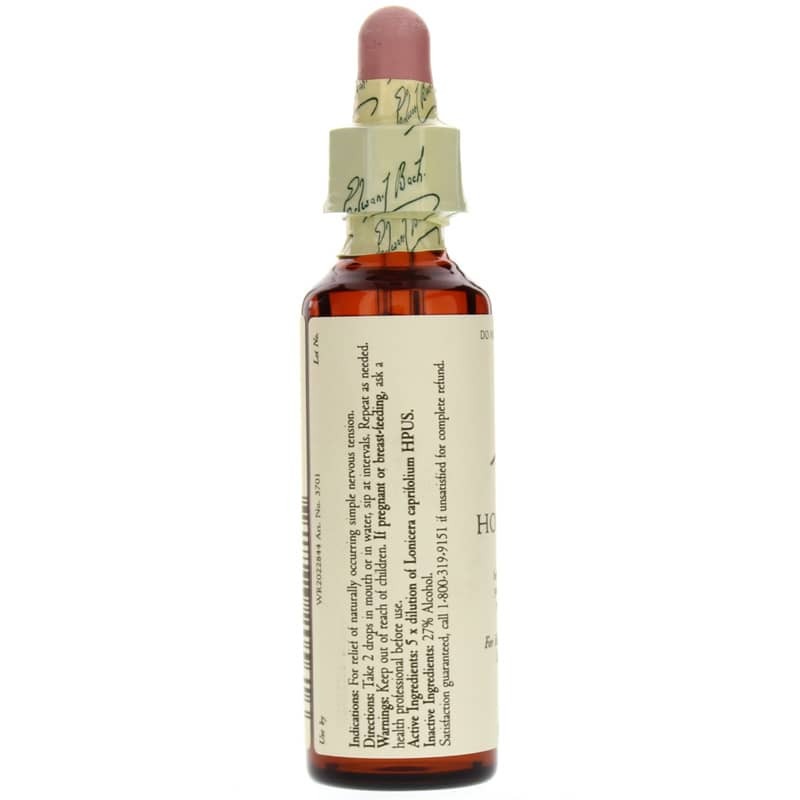 The original Bach Flower Remedies is a natural method of healing discovered by Dr. Bach in the 1920-30th in England. They gently restore the balance between mind and body by casting out negative emotions, such as, fear, worry, hatred and indecision which interfere with the equilibrium of the being as a whole. The Bach Flower Remedies allow peace and happiness to return to the sufferer so that the body is free to heal itself. The Bach Flower Remedies are made from wild flowers and are suitable for the whole family including pets and there are no know side effects or allergic reactions. 2 drops in water and sip at intervals or add to 30ml mixing bottle containing water. Take 4 drops a minimum of 4 times a day.